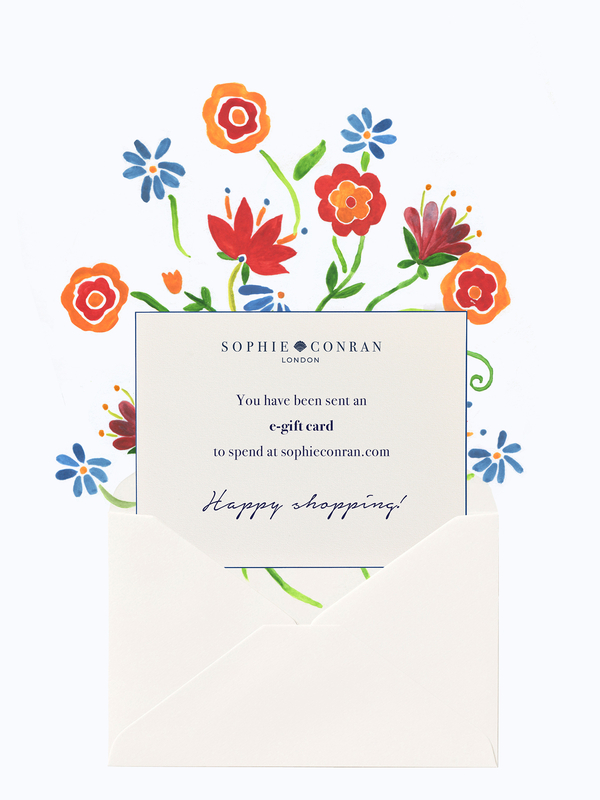 Take the stress out of shopping and treat your loved ones to one of our beautiful e-gift cards. It can be sent instantly or on any day of your choosing, up to one year in advance, 365 days a year. It is the perfect way to send a thoughtful gift that allows them to choose exactly what they have always wanted. The e-gift card will be delivered to your recipient along with your lovely message in a stunning email that has been designed with a burst of animated flowers, sure to bring a smile to any face. Please note: our e-gift cards are valid for one year from the day they are received. e-gift cards are exempt from any delivery charges. Please also not that promotional discounts do not apply to the e-gift card.